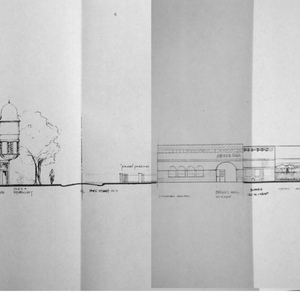 Drawing of North First Street prepared as part of the redevelopment initiative in the mid-1990s. The drawing extends from the Cattle Bank to the Lone Star Lounge. Severns and Associates, “North First Street Drawing,” eBlack Champaign-Urbana, accessed April 23, 2019, http://eblackcu.net/portal/items/show/146.